The first conference of its kind in Spain, concluded late Sept. in Barcelona. 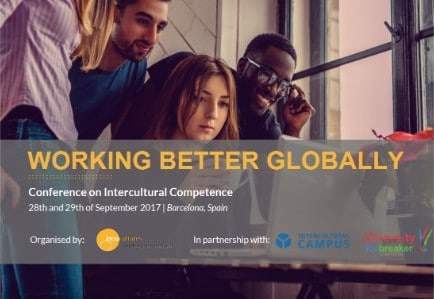 Organized by intercultures in partnership with Intercultural Campus and Diversity Icebreaker— and in collaboration with SIETAR España— the exclusive focus of the two-day conference was intercultural competence. Congratulations, intercultures España! 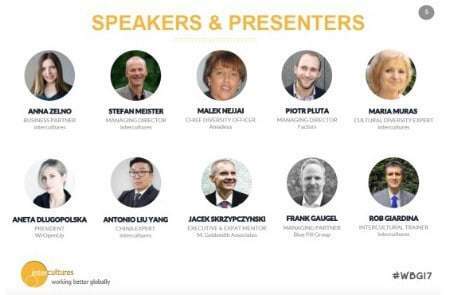 Workshops included those on the topics of optimizing intercultural learning; developing it practically; intercultural competence as Corporate Social Responsibility; achieving success as an intercultural practitioner; virtual working; the Diversity Icebreaker; and cultural “keys” to China and the US. The importance of intercultural competence to international talent management was the topic of a moderated panel discussion. all #WBG17 attendees; partners and collaborators; and speakers and presenters— pictured right (desktop)/ above (mobile). 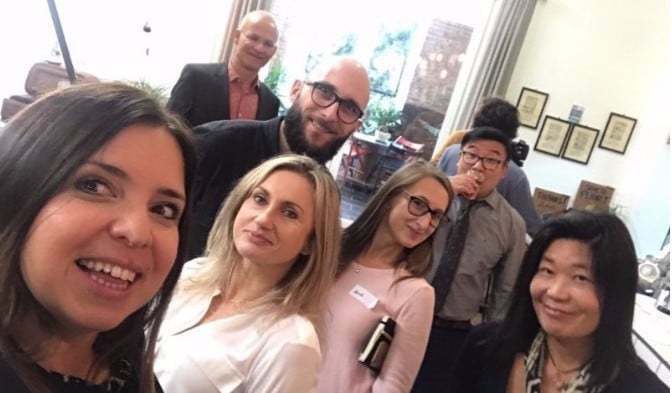 Anna Zelno, intercultures España Business Partner and SIETAR España President (pictured above, top left), by mobile or WhatsApp (+34 633 076 411) or email (info(@)intercultures.es). Check out Anna’s profile on intercultures’ new website. Follow @interculturesES via Twitter.